Yesterday I shared some of what I learned about the STA with you. And I got a lot of comments and questions. So I thought I would share some more information I've gathered. 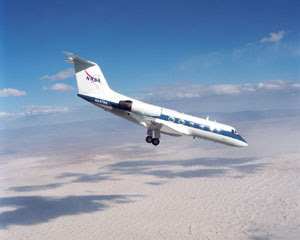 The STA is a modified Grumman American Aviation-built Gulfstream II executive jet that was modified to simulate an orbiter's cockpit, motion and visual cues, and handling qualities. It is used by Shuttle flight crews to practice landing the orbiter. In flight, the STA duplicates the orbiter's atmospheric descent trajectory from approximately 35,000 feet altitude to landing on a runway. The orbiter differs in at least one major aspect from conventional aircraft; it is unpowered during re-entry and landing so its high-speed glide must be perfectly executed the first time there is no go-around capability. The orbiter touchdown speed is 213 to 226 miles (343 to 364 kilometers) per hour. There are two STAs, based in Houston. 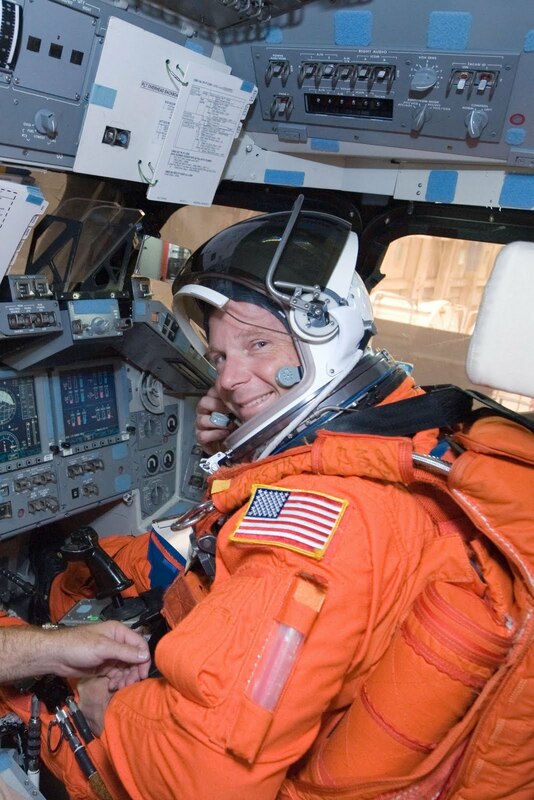 Jack "Trip" Nickel is a NASA Research Pilot who helps train space shuttle commanders and pilots to land the orbiter as it is returning from space. Talking about the STA, "It's still scary," Nickel chuckled. "In a plane like this, a corporate jet, there is no sky visible out the front cockpit. All you see out the window is dirt, there is absolutely no sky. So it's a very ominous feeling. With the engines in reverse thrust, you're hanging in your harness." 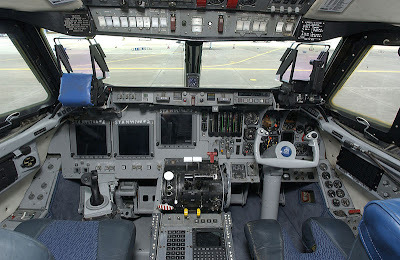 The Gulfstream G-II was modified several ways for its shuttle simulator role. Unlike the regular business jet with two sets of identical controls, the Shuttle Training Aircraft is outfitted with an orbiter cockpit on the left side of the cockpit and a set of conventional controls and displays on the right. 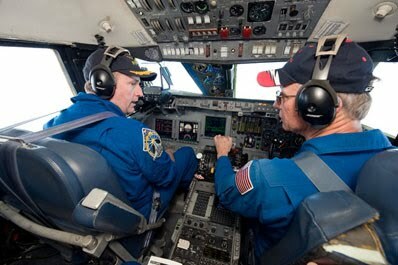 During a landing simulation, the astronaut typically sits in the left-hand seat and the instructor pilot watches closely from the right-hand seat. ASA built a pair of computer-driven simulators that never leave the ground to let pilots practice, but there was still a gap between those and the physical challenge of flying the actual orbiter. That's where the Shuttle Training Aircraft, or STA, come in. "You get the real dynamics of real air going over the aircraft (and) you just can't model that with a computer," Nickel said. 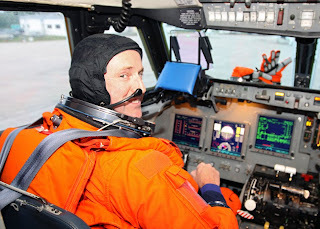 "There's just no comparison to being out in the real air, seeing the real landing aids. This is just the real thing." The purpose is to give the astronaut the best impression of what the real orbiter will feel like and exactly what the correct approach to the runway is supposed to look like. 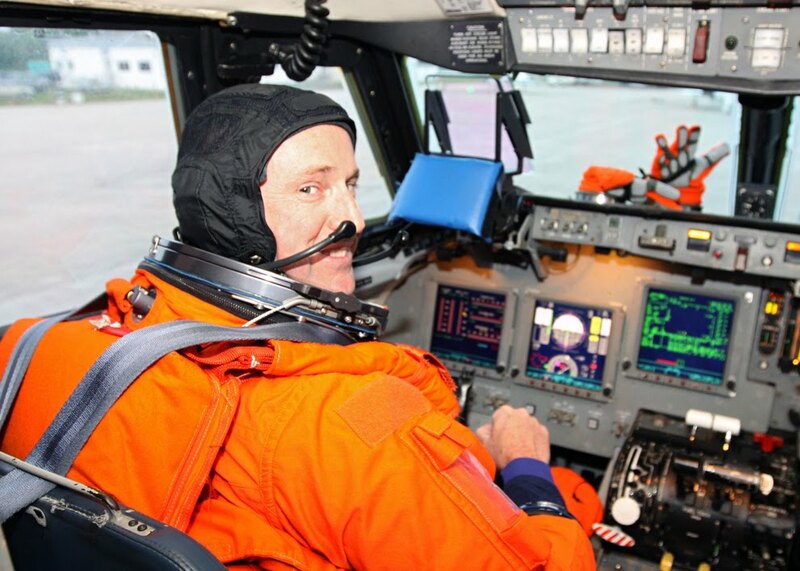 It "moves a shuttle pilot's eye through the sky along the flight path he would follow if he were flying the space shuttle," Nickel said. 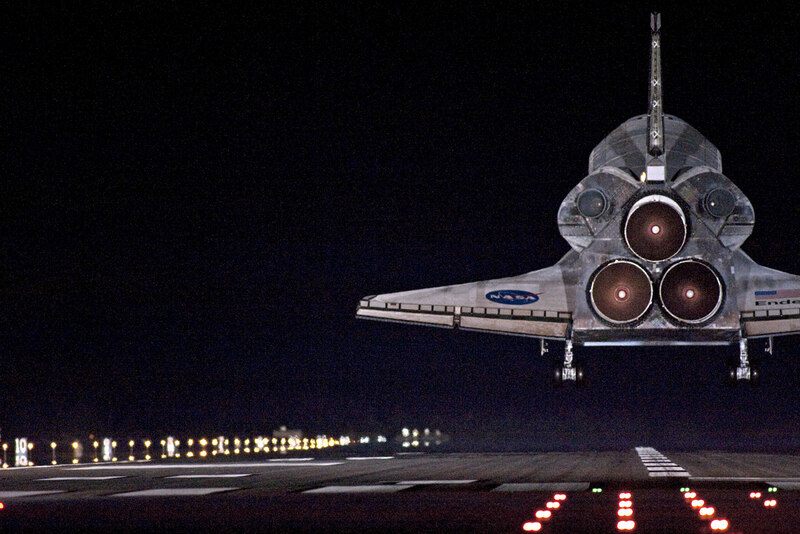 "It flies just like the shuttle. It emulates the shuttle exactly." The wing and engine modifications are the tools that a set of computers inside the aircraft use to make the shuttle pilots feel like they are flying an unpowered spacecraft. That means the pilots are in charge, but the computers are in control. Shuttle Training Aircraft to practice touch-and-go landings. When the astronaut pulls the control stick back, for example, the computer decides how a real orbiter would react. Then the computer moves the wing and tail to make the STA act the same way. The movement takes a scant 50 milliseconds to occur, though, so the pilot senses no delay. controller (RHC) used to fly the vehicle, and multi-function displays. The landing pattern of the orbiter demands that the Gulfstream fly at about 300 mph at times in a dive that is several times steeper than that of an airliner. At the same time, the thrust reversers and deployed main landing gear add more stress to the STA. "This aircraft is at the structural airspeed limits in simulation (mode)," Nickel said. The reward is a realistic training session for pilots that get only one shot to glide the orbiter to a landing during a real flight. NASA JSC - Longhorns in the Rocket Park! NASA JSC - Camilla and needles? 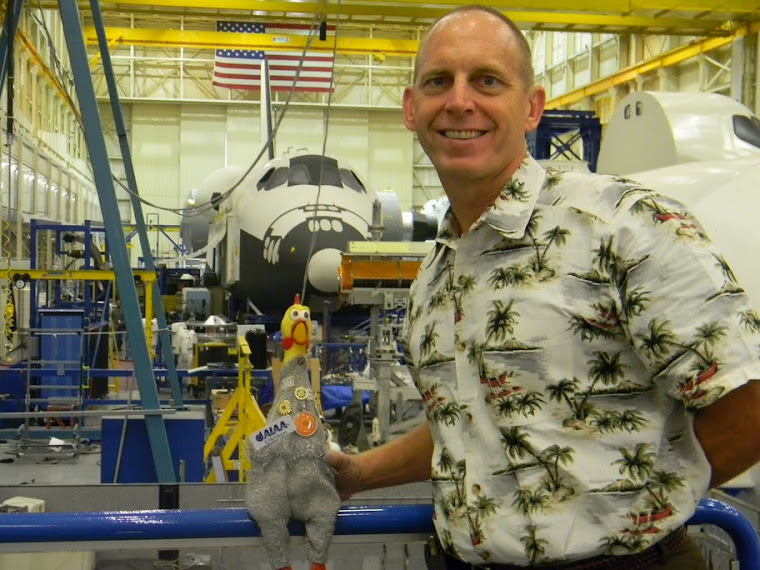 At NASA JSC - Meet "Flat Peggy"
At NASA JSC - Russian Cargo?